The property market is always changing. Recent times have seen a national trend towards renting as house prices rise to record levels. With an ever growing number of renters, the Scottish Government have recently announced a consultation on a new set of proposals that could have important ramifications for private landlords. With dated tenement buildings making up a significant proportion of Scotland’s rental stock, energy efficiency tends to be low. As such, Scottish renters are often left exposed to soaring energy prices, particularly throughout the winter months. 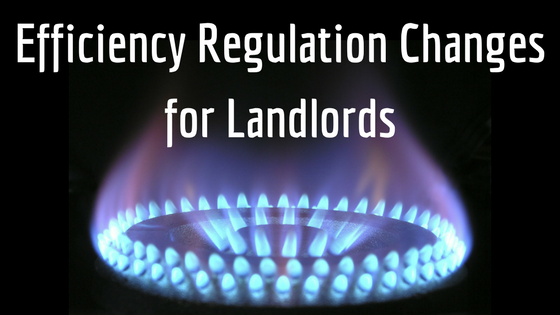 In England, regulations surrounding the energy efficiency of private rental properties are already coming into force and up here, the government are looking for ways to do their bit to tackle fuel poverty. The Scottish Government’s consultation is broken into two sections, with the first referring to privately rented accommodation, of particular relevant to our clients. The consultation outlines a set of proposed guidelines aimed at ensuring the efficiency of rental properties in Scotland. It is proposed that landlords with a property currently rated as F or G for energy performance will need to raise this to at least a level E efficiency rating. The consultation proposes that this minimum level would be raised again, at a later date, requiring landlords to ensure their property is rated D for energy performance. The Government’s paper for consultation states that the property owner will be responsible for arranging the necessary work to raise the efficiency of their property, as well as arranging the necessary assessments. The consultation paper proposes that the regulation requiring a minimum E efficiency rating should come into force by April 2019, with a D rating expected of all properties by 2025. As a landlord, failure to comply with this regulation (should it pass), looks set to be costly. Local authorities will be given power to issue property owners who fail to comply with fines of up to £1,500. However, not all property owners will be required to make such changes, with exceptions available in some circumstances. Of course, at this stage, the matter remains a consultation paper launched by the Scottish Government. Consultation closes on the 30th of June 2017, after which a long legislative process will likely follow. Of course, as any regulation is brought in, we will keep our clients up to date to ensure you stay on top of the required maintenance. My decision to use Albany Lettings has relieved me of much stress and anxiety. I would like to thank you for taking such good care of my flat. It was a great relief to come home after a years absence and find all my possessions intact. Thank you very much for all your help, you have done a great job and we know our flats are in very safe hands with Albany.